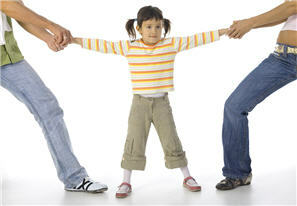 A Child Custody Matter: When Does a Child Get to Decide Where to Live? The statute that the court is required to follow in custody matters weighs the wishes of the child after reviewing and quantifying eight+ qualifying factors. This does not mean a child’s wishes are not important; rather age and maturity are the big qualifiers. In addition, the ability to articulate reasons of preference without prejudice is given more weight. More commonly, we hear reasons like; “Dad is going to buy me a new car if I live with him”, or “Mom says she will take me on a vacation if I live with her.” These serve as red flags that very possibly the parents are playing one against the other to the child’s detriment. In determining custody, the court considers the wishes of the parents and the viability of their parenting plans; the relationship each parent has with the child and his/her siblings; the degree each parent can work with the other in raising their children during and after a stressful marriage and divorce; physical and emotional health; harmful habits; anticipated relocation plans and disruptions of the child’s current lifestyle as well as others. Each child, each family and each situation is unique. Take a case where a 15-year-old boy who decided to live with his dad. His sister, who was five years younger, chose to live with the mom. Sadly, the family was split in two. The 15 year-old- son originally was fired up to live with his father because he promised him use of computer equipment and games. The boy later had second thoughts after his father required him to work two jobs, causing his grades in high school to suffer. Conversely, the daughter, who chose to live with her mother, was given the royal treatment from her mother, but given second-hand treatment from her father because she didn’t choose to live with him. This is a sad case in which the parents played favorites. The court listened to the children’s wishes—both the mother and father have sole custody of one of the two children and joint custody of the other child. The point is this—even when the court listens to the children’s wishes, the end result may not be beneficial to all concerned. Parents often times want their children to tell the judge where they want to live, but putting the children in the middle can often be avoided. A Guardian ad Litem (an attorney appointed to represent the child’s best interests) may be appointed to interview and get to know the child and present a carefully prepared case without harming the parent/child relationship. Custody evaluations are also options in some cases. At Stange Law Firm, we will be with you every step of the way. Our firm focuses entirely on family law. We have experienced attorneys who know the law and will passionately fight for your rights. Call 314-963-4700 for your free one-hour consultation or contact us at St. Louis MO Child Custody Law Firm.